Singleton Construction has found its niche. 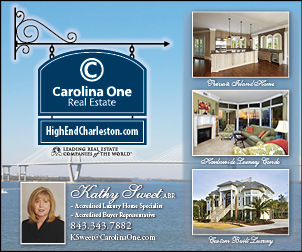 Dedication to high quality construction and stringent attention to detail have placed Singleton in a prized position: most of the construction company’s projects are in South Carolina’s own DeBordieu Colony and Prince George, two of the finest residential communities on the Eastern Seaboard. Several architecture firms that do work there refer clients to Singleton, whose stellar reputation and spectacular collection of completed residences serve as the company’s greatest marketing tools. 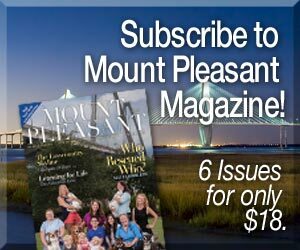 The company has a long history in coastal South Carolina, beginning with W.J. “Bill” Singleton in 1945. At the end of WWII, Singleton was involved in building projects in Virginia and Washington D.C., including work for the military. 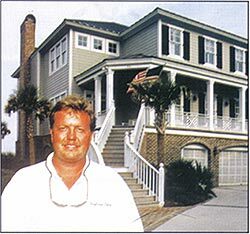 Before long he had worked his way back to the Myrtle Beach area where, according to his son and current president of the company, Jack Singleton, he began building beach houses for the growing population of vacationers along the Grand Strand. Many of these small, bungalow type cottages can still be found in Myrtle Beach, Surfside, Garden City and Litchfield. Jack Singleton came on board in the late 1940s at age 13, helping his dad in the summer months. In 1952, after finishing high school, Jack joined in his father full-time, and the two worked together until the latter’s death in 1985 at the age of 72. Jack’s son, called “Bill” after his grandfather, joined the company in a similar fashion. This is indeed a family operation, with Jack’s daughter, Amanda Musgrave, and her husband, Greg, also employed there. Indeed, today, most of the houses in DeBordieu are of a significantly grander scale than the modest shore homes of yesteryear, but Singleton happily points out that some of the early buildings remain, proudly situated among their larger, newer neighborhoods. “We build them…We take care of them” reads the motto. The fact that Jack and Bill Singleton really do continue to look after the homes they’ve built is greatly appreciated by the residences and the architects who designed them. 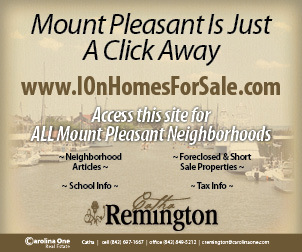 Singleton does not do “spec homes,” only custom built properties, and mostly in shore communities. The company has a long history of building such houses, and the Singletons know the business inside and out. Those who have worked with Singleton know the quotes will be realistic, corners won’t be cut to increase profits and members of the building crew will work on the project as if they were working on their own home. The owner to one of the most spectacular residences in DeBordieu took great comfort in having his home built by Singleton. Jack Singleton is 68 years old, and a joy to talk to: a modest character with that old Southern charm and a real sense of honor and obligation. He is partial to colorful sayings such as “We build a good house and plan to take care of it as long as we’re around,” and “If we can’t make a friend, we don’t want to build.” His son Bill now does most of the fieldwork and meeting with clients, but father and son continue to work together as heads of the company.